It is estimated that Google now processes over 40,000 searches per second. That’s about 3.5 billion searches per day and 1.2 trillion per year. In 2016 it accounted for around 34% of website traffic, and in the same period in 2017, it increased to over 50%. With traffic and searches being used more and more each year, 2018 is set to be a very competitive year online. If you have been putting off investing in your website, now is the time to move forward. The online world is getting faster and faster, and unless you keep up, you’re in danger of being left behind. Not only is being found through search engines increasingly important, it is now imperative that your site is working hard to keep visitors on your site and to encourage them to take action. If you’re not sure where to start (or where to invest), we have taken the time to highlight our top 4 elements that your website should have in 2018. First, lets explore what A/B testing is. This is a method for testing the performance of different website elements to improve its functionality. For example, if you have a button on your site that leads to a sale, it is vital that this button is designed to convert at the highest rate. You can of course take an educated guess – bold colours, for instance, draw the eye and are more likely to be clicked. However, there is no way to make an informed decision on shape, size or specific colour. A/B testing allows you to test two options at once. By testing in this manner you can track the performance of both options and choose the one that is performing best. This eliminates any personal preferences and focuses on what will increase your conversions. The best approach is to test one element at a time – size, shape, placement, and colour should all be tested individually. A/B testing lets you to work to continually improve your website based on data collected from the people who actually use it, allowing your site to grow and evolve to suit your demographics. You will avoid the need to make assumptions and costly amendments without clearly understanding what will work. Content is king. Current trends show that this catch phrase is becoming more and more relevant each year. You may have good intentions while filling your site with content, but does it reach its intended audience? Do the people who love tech stories see your latest tech articles, or are they buried under the international politics stories? Websites collect a great deal of data about your visitors, and if you use this data in the right way, you can deliver personalised content to any returning visitor. If a visitor has spent hours reading tech related content, why not show them more tech stories? By creating personas in the brains of your website, you can tell your website to show a visitor content based on what type of persona they match. In order to do this, you must lay out different personas based the types of content you have. For example, if you publish tech and sports news then you could have a “sporty” persona and a “techy” persona – and an additional “sporty tech” persona, covering both. If you have a visitor that spends the majority of their time on the tech pages, you can reduce the priority of the sports content on the site (effectively dropping it to lower down on the page). This will encourage the visitor to stay on your website, since they are consistently being presented with more content that they are interested in. Personalised content will work for any industry, as different elements of the site can be adapted based on the actions that their visitors take. After a visitor has signed up to your mailing list, you can remove the ‘sign up to our mailing list’ section so that they no longer see it. Furthermore, you can replace that section of the site with something that adds more value. This will give the visitor the feeling that the site is adapting to them and offering a tailored experience. Your website is your most important sales tool. Users will judge your business on how it looks, how it works and the content it provides. Personalised content allows your site to continue to impress and interest them. Lead scoring is nothing new. Anyone with sales experience will have a system of judging how close someone may be to making a purchase. They’ll also know that it is extremely time consuming. Tracking potential customers, leading them down the pipeline and choosing the right time to close a deal are all delicate tasks that require constant attention. What if your website could do it for you? Setting up lead capturing functions including contact forms, enquiries, quotation tools and white papers (to name just a few) is paramount. In the background, your website can record and score visitors based on their interactions with the site. If they spend 10 minutes on a page about your services, that’s 10 points! When your site records that a user has acquired 65 points, you can even get your website to reach out to them for you. By scoring visitors you can create point scores that act as a trigger for marketing automation to commence. So when our visitor hit 65 points, the website would send them an email to encourage them to take more action; book a meeting time, arrange a demonstration or whatever brings you closer to closing a deal. If they take this action, that can be tracked and scored as well. If they don’t respond, the site can be set to follow up with another email – all tailored to the customer. This process can continue in a predetermined flow to ensure that you are following every lead, night and day, 24/7. Having this system in place allows your sales team to avoid these time consuming tasks and concentrate on the skilled profit-making part of their job. 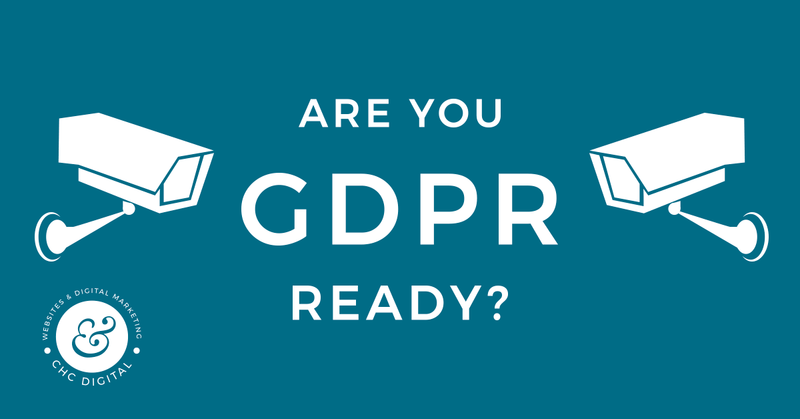 In May of this year a new piece of legislation called GDPR will come into effect. Among other things, it will enable visitors to your website to request a full report on how their data has been used and to delete it, if they wish. If you can’t or don’t comply with GDPR, you are liable for a fine of up to 4% of your company’s global turnover or €20 million (whichever is more). Almost all sites do actually capture a vast amount of user data. For the majority of existing sites, however, accessing and deleting this data is no easy process. It would involve consolidating all of your data, potentially running across millions of rows, and searching through it for information relating to the user who requested it – and then, manually creating a report for them. Fortunately, we have been working on finding an easy solution to the problem and have a platform that will allow you to capture huge amounts of user data, all 100% GDPR compliant. If a visitor requests their data (Right to Access) you can provide them with a custom URL within a matter of minutes. If they request for this data to be deleted (Right to be Forgotten), the system simply has a delete button to remove the data without damaging the rest of your user data. Having a GDPR compliant site is simply going to be a must have for 2018. 2018 marks the start of a new partnership for CHC Digital. We have partnered with Kentico, a great bunch of smart chaps who have created the most sophisticated CMS we have ever seen. The Kentico CMS is easy-to-use, easy-to-customise, fast, stable and good to design and develop with. It provides a centralised location for your all of your marketing and sales requirements, and allows you to collect and use data all on one platform. Most importantly, it efficiently tackles the hard work that many websites struggle with, such as the ones listed in the topics above. To find out more, visit our Kentico page here. 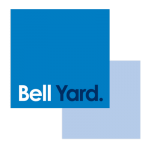 Bell Yard is London’s leading litigation PR and legal sector reputation management consultancy. They came to us seeking a fresh and modern look for their website, with the ability to demonstrate and inform about their services. It was important for Bell Yard to have a simple and easy-to-use CMS to allow them to post regular press and news updates. Since they are frequently updating their website we provide reliable on-going web support to their team. CHC TALKS | WHERE SHOULD YOU SPEND YOUR MONEY? CHC Talks: Does a business need a website? Can you build your own website?